Sigi – A Fart for Melusina stars the noble gas-fueled knight Sigi, who embarks on a quest to find the love of his life. In this retro-esthetic platformer, you’ll run, jump, and fight your way across several levels, making sure to eat plenty of greasy food along the way. The name alone should let you know what kind of game you’re getting into, and yes you can expect quite the assortment of fart-related puns. However, Sigi – A Fart for Melusina offers much more than crude humor alone. For the most part, this game has some very well executed gameplay. The controls are very tight and responsive, not at all slippery or hindered by wonky physics. You have an assortment of weapons you can collect from each level. Swords, axes, chicken legs – all of the necessary weapons for taking out hoards of Snakes and Skeletons. There are two types of weapons in this game: ones that you throw straight forward, and weapons that you can toss in an arc. Both styles will be helpful depending on the situation. Straightforward weapons can arc downward after they’re tossed, making easy work of enemies that are far smaller than you whereas arced weapons can bounce off enemies to hit others near them, making quick work of a whole group of monsters. You can also jump on monsters to destroy them the good old-fashioned way. The games biggest sin, however, might be the fact that farting has no real importance in the gameplay. I came into the game expecting all sorts of silliness, such as being able to double jump with a fart, use some sort of fart attack, or even have some fart-related puzzle solving. But no, what we get is some fart puns and the occasional gas discharge when you pick up a food item. When you have “Fart” in the title of your game, you’d think it would play a bigger role. South Park: The Fractured But Whole, implemented farting in a variety of creative ways, so you’d think Sigi – A Fart for Melusina would have put more effort into making it a priority. Another big issue with the game is the very bland level designs. There are 21 levels total and they all feel the same with no real challenge. 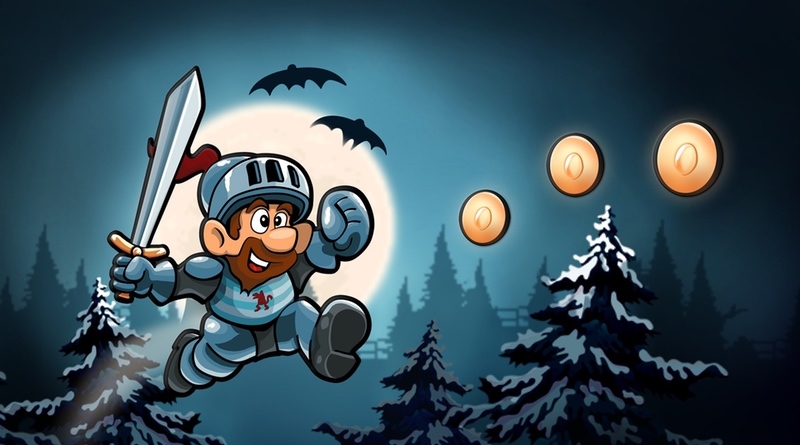 The stages swap between two different backgrounds, with the exception of the bosses, and no new gameplay elements are introduced through the course of the game. Even NES games like Super Mario Bros. 3 had the decency to change up the scenery and gameplay with slippery ice levels, and underwater swimming areas. What’s worse is that the difficulty of the game never seems to raise either. If you have even the most basic platforming knowledge, then you may never die during the jumping segments of the game. The only parts of the game you’re likely to die on are the bosses, but don’t mistake that to mean that they are challenging. Every boss has only one attack that they will repeat for the entire fight, and for the most part, they are easily avoidable. What makes the boss fights so difficult is the fact that the bosses can kill you in a single hit. They also have way more health than they should, needing about 20 hits to kill them. There’s no real challenge to the boss fights, which is made more apparent by the fact that you’re not punished for dying during a boss fight. In fact, if you perish fighting a boss, you immediately respawn and the boss retains all of the damage you’ve already dealt. Sure, you’ll lose a life, but there’s already such an overabundance of lives in the game that you should never run out. The only boss with a shred of challenge is the final boss, but that’s only in comparison to all the others. The game does harbor a few hidden secrets, but most of them seem rather pointless. In some areas if you fall off a high platform you have the chance of breaking the ground to reveal some hidden coins. They are the main collectibles in this game, though their only purpose is to grant you more lives when you collect 100 of them. There are also walls that you can break to enter secret caves, which are usually just filled with coins to earn more extra lives. A few of them contain other secret collectibles for those seeking to 100% the game, but with a lack of an achievement system on the Switch there’s very little incentive to do so. The sound design is just OK. It has all those retro sound effects with some added farts every time you pick up food items, but overall there’s nothing special here to make it stand out from other games in the genre. The music is also fine, but it repeats a lot with only four to five tracks in the whole game. When you hear the same couple of songs on every single level, it really draws attention to how much of the same content this game reuses. The game also suffers from an extremely short length. The official site states that the average player can take about an hour to beat the game, though I’ve managed it in less than 30 minutes. The game aims to be a short, but sweet, experience. However, that does not translate well in terms of replayability. Once you’ve beaten the game, you’ve experienced everything the game has to offer. There are no special objectives or collectibles worthwhile, so there’s really no impetus to replay again for that 100% completion. Sigi – A Fart for Melusina is the poster child for a mediocre game. There are so many shortcomings that only the most fervent fans of the genre will find anything here to latch onto. The highlight of the game is that the controls work well, but with so little variety in the stages and no innovative mechanics whatsoever, we’re left with a bland taste in our mouths after seeing the end in under an hour. There are plenty of other games more deserving of your time on the Switch. Sigi – A Fart for Melusina lacks variety, challenge, and a sense of purpose. It’s hard to recommend this game to anyone, yet at the price of five bucks I can’t say that you’re not getting your money’s worth. Sometimes you really do get what you paid for.